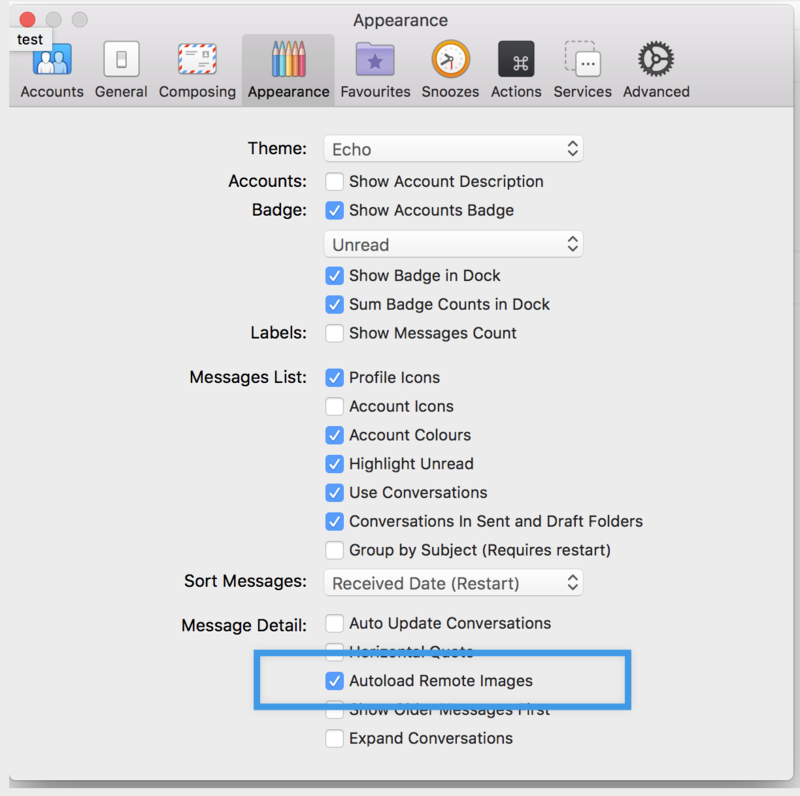 Airmail allows you to enable/disable autoloading of remote images. To find the option, go to Airmail preferences > Appearance as shown in the picture below and then quit and relaunch Airmail to save the change. messages from the same sender. Always - This option will load the images always from the sender. This is the only option of the three which will affect the future instances of making the images appear in all the emails from the same sender. Cancel - This option will not load the images from the sender for the instance. I have accidentally chosen to &apos;Always&apos; load images from a sender, how to revert this action? Please contact support if you encounter any difficulties and we will be glad to help you out.